Here are a few upcoming events that are popular at this time of year and may get you in the mood for summer! Summer is a great time to catch up with friends here, there and everywhere so why not get yourself to a number of events as an excuse to catch up with different people. So I'm starting with something down the more expensive end, but Ascot is THE 'quintessentially British' event of the summer (or so they like to make out). The highlight of the racing year at Ascot and Europe's most famous race meeting, you can rely on it to be a successful event. Several members of the royal family attend Royal Ascot; prestige factor is an all time high! Having never been, I've always been so jealous as is it always perfect weather for it, and people always look so well-dressed and lovely. A day out in the sunshine with an excuse to buy a dress + fancy headgear - what is not to love? I am keen to go this year but I'm also pretty busy around this time so I hope I can work it out. I'd say this event is perfect if you can get a big group of you guys and girls together. The annual Underbelly Festival on London Southbank is back! I've been every year since I moved down south for Uni, and although I have yet to see a show I just LOVE the drinks garden then open up right next to the London Eye. The pop-up beer garden is just out of this world. Reminiscent of something you may see at a festival, yet situated right on the bank of the Thames. The garden is free to enter but be warned drinks are expensive. However, it is totally worth as it the setting with the bunting, lanterns, decked area and comfy sofa style chairs is gorgeous for a sunny afternoon with the girls. The atmosphere is always buzzing! I know I'm recommending this chilled out zone they created more than the festival itself, so do check out the website for information on the shows on offer. Primarily focused on comedians, tickets to events would be perfect presents whether you are after musical events, activities for children or just a night of laughs. Cost: Prices vary for shows. If you're going to this already then lucky you! Tickets are hard to come across and the general release is pretty much sold out now. However, there are tickets to be won/ up for grabs in the weeks leading up to the event so keep an eye out. As an alternative to the other festival's you've heard of, tickets are highly sought after so I'd suggest you watch out for this every year and get on the ticket wagon asap. My friend told me about Zoo Lates starting this June and it looks so good! London Zoo opens its doors for fantastic summer evenings featuring unique entertainment and a chance to see the animals at night. With everything from comedy to circus style entertainers to chilled out music, the zoo lates provide an opportunity for a lively evening rather than the casual daily stroll you'd expect in this venue. As it is over-18's only you can learn about the animals without the hoards of babies and children on school trips. This also means the opening of a wine bar especially for the events - what is not to love?! Held in London, Lovebox festival is a two-day event featuring predominantly dance artists. 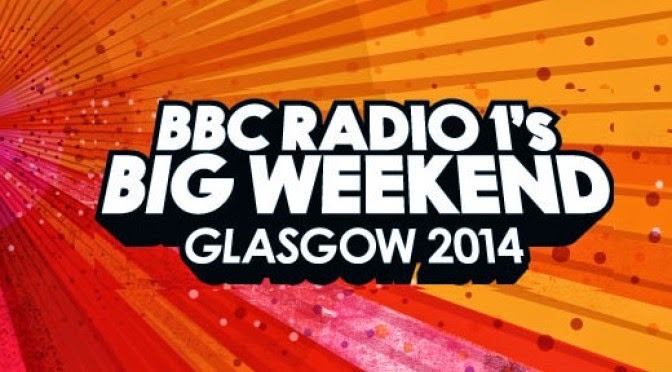 If that's not your thing don't be put off as every year the event expands to wider variety of artists. Like many of the larger festivals it hosts a number of funky, creative activities to keep you occupied such as photobooths and yoga classes. If you're like me and get put off festivals by the idea of staying in a tent and queuing hours for toilets, then Lovebox day tickets will fulfill you're craving for festival wear without hygiene less nights. AND you pay a slice of the rpice compared to other festivals. HOLI ONE is a colour festival inspired by the Indian tradition that is Holi fest.The general idea is that you get together to enjoy music and dance performances from up and coming acts whilst letting yourself go crazy with the colour powders, being completely care free. I have to admit I envy the people in the videos ad pictures that I have seen. Events take place in nearly every major city in the UK (and worldwide!) 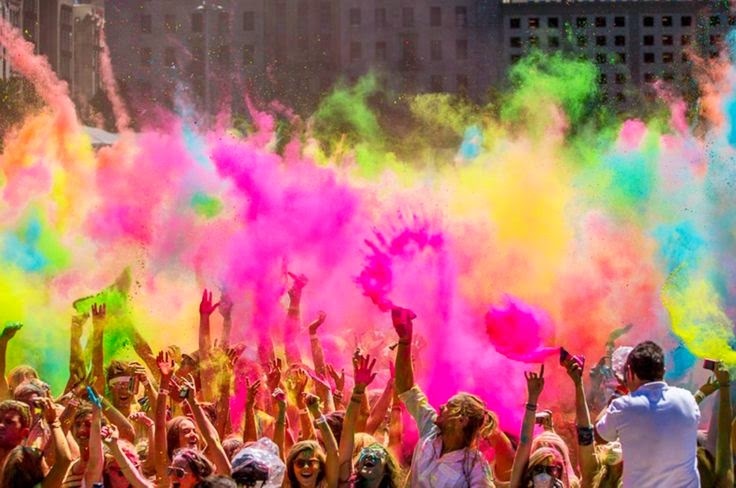 and if you can't afford to go to one of the big festivals this year, why not try out a day at a Holi One festival for a bit of fun. I apologise that nearly all of these are in the capital but London offers so many amazing events in this time I couldn't help but be biased. If booked in advance you can get yourself down here from most places for a bargain train ticket anyway. As they are pretty unforgettable events, I'm willing to promise the travel is worthwhile! Are there any exciting/unique/must-see events going on before summer that I missed out? Are you attending any of these and have advice you could give me? I am so keen when it comes to making plans so please let me know of anything you are looking forward to!